Polka Dot Overload | Sewing, knitting & vintage projects, tips, tutorials and cartoons! 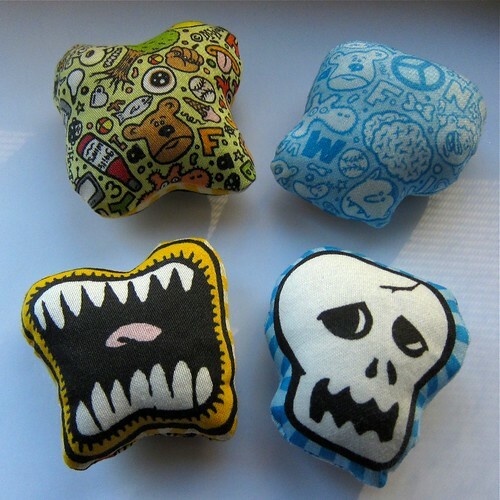 : Finished Objects: Stuffed Doodles! 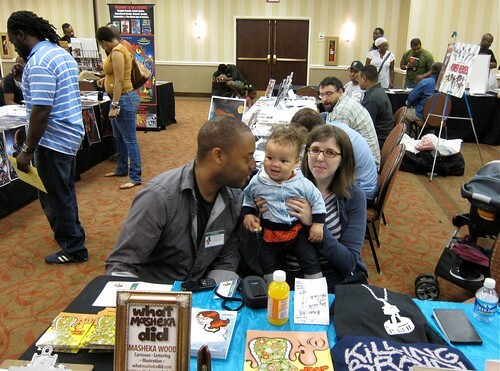 Cartoonist Husband and I recently (well, two months ago) made it out to our first post-baby cartooning convention, the East Coast Black Age of Comics Con in Philadelphia. 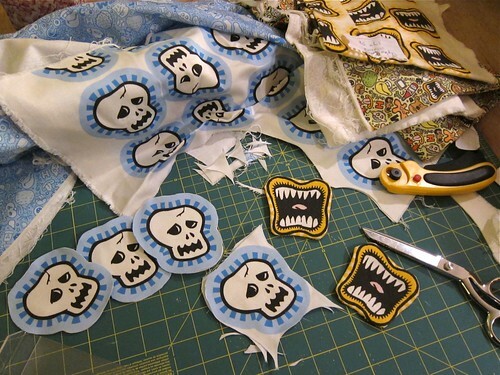 I wasn't exhibiting my own cartoons, so I decided to sew up some little softies with Masheka's drawings on them since I had already designed the fabric for Z's Blue Doodle Hoodie. Wonderful to see you back! Love the mouth doodle...and your daughter is SO. CUTE. hey there! 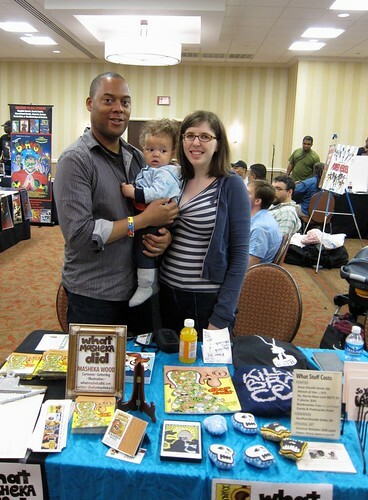 congrats on your first family con - looks like you all had a great time. And the crafts look great!! Good to see you and baby Z again! So cute in her doodle hoodie.